(CN) – The NCAA said Tuesday that it will once against consider North Carolina as a possible site for its championship events after state lawmakers clawed back a controversial anti-transgender law. As a result, the state will keep events already planned for the 2017-18 collegiate sports season, including a men’s basketball tournament slated for Charlotte next fall, and will be eligible to host future events running through 2022 (which is currently as far out as the NCAA planning calendar goes). But while victory for North Carolina, where some state lawmakers last week complained they felt pressured by the NCAA to repeal the law formally known as House Bill 2, the athletic association was far from offering the state its praise on Tuesday. In fact, the NCAA said a board majority had voted only “reluctantly” to allow for North Carolina’s consideration for events. 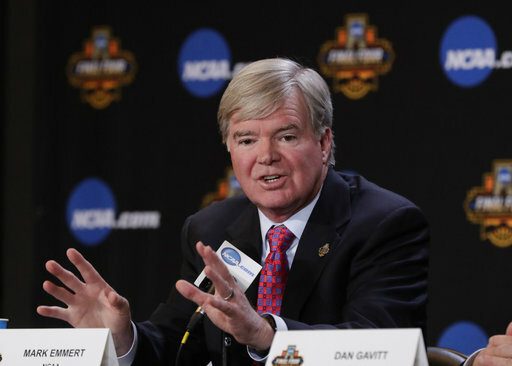 The NCAA pulled seven events from the state in September for the 2016-17 season, including men’s basketball tournament games from Greensboro in March. Those games were moved to Greenville, South Carolina, which had been banned from hosting events for years before that was lifted following the removal of a Confederate flag from state capitol grounds in 2015.
Cooper went on to acknowledge that the repeal and replacement of House Bill 2 wasn’t all he or the NCAA had wanted, and vowed that the fight to continue to improve anti-discrimination protections for the LGBT community would continue. But advocates for the LGBT community were less pleased by the NCAA’s decision. “It is disappointing,” said Chris Sgro, executive director of Equality NC, in a written statement. “HB142 continues the same discriminatory scheme put forward by HB2 and does little to protect the NCAA’s players, employees, and fans. “The NCAA’s decision has put a seal of approval on state-sanctioned discrimination,” Sgro said. The ACLU, which challenged House Bill 2 in court, was also among the dissenters.